Candlelight Vigil: Rodrick | Free Rodney Reed! Published March 10, 2015 at 650 × 434 in Candlelight Vigil: Rodrick. 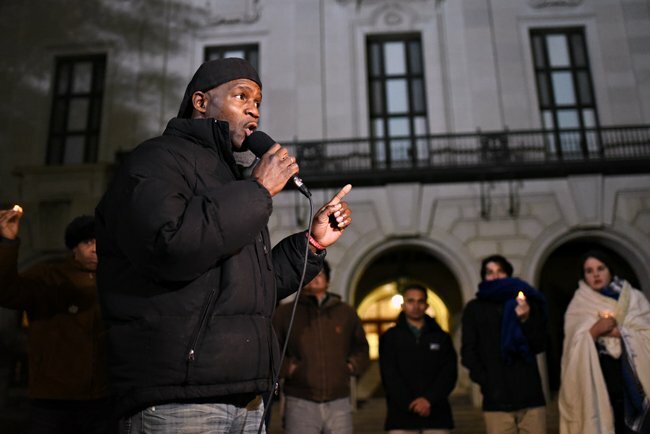 Rodrick Reed, Rodney’s brother, speaks to a group of University of Texas students gathered outside the UT tower. The students spent the night on the Main Mall to bring awareness to Rodney’s case.